Iveco are suppliers of light, medium and heavy commercial vehicles and are a chosen technical partner of FF Corse. 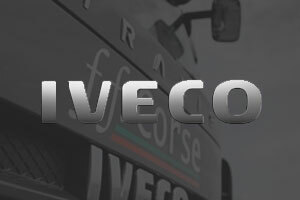 With a large range of products and an extensive UK sales & servicing network, Iveco is the perfect commercial vehicle partner for FF Corse. Bodytechnics specialises in high quality repair of accident-damaged prestige motor vehicles – taking care of you and your car when you need it. They have brand approval/dealer appointment for the following brands: Porsche, Ferrari, Maserati, McLaren, BMW, Aston Martin, Bentley, Audi, Volkswagen. From vehicle recovery, handling your insurance claim and keeping you mobile to returning your car to you at a manufacturer-level repair, they are the one-stop shop for all car body repair work.As a car owner, you have the right to choose where your car is repaired. By using an approved bodyshop, you will retain the integrity and residual value of your vehicle and the validity of your warranty. EEC Ltd is a long established company of highly trained metrological engineers. With a wealth of experience in the weighing and service industry EEC Performance Systems has designed a fuel bowser that can deliver or receive fuel with accuracy and reliability. Working with race teams in the motor sport industry the fuel bowser meets all criteria required by them and that of the race organisers. The unique software knows the state of the fuel hoses ensuring accurate delivery of the fuel required in all states. EEC has also developed our ATC (Automatic Track Compensation) system, therefore whatever track you attend around the world the Bowser is accurate. Rigorously tested by race teams over the past years, the f-POD has attained the reputation of reliability accuracy and ease of use. 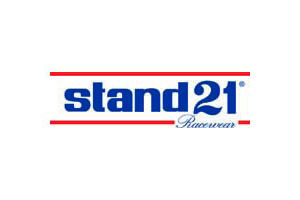 Stand 21 are the world leaders in made-to-measure equipment for the racing driver from head to toe. 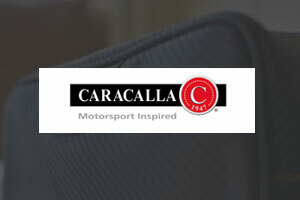 Caracalla 1947 is named after the famous Italian circuit in Rome on which Ferrari won its first race on 25th May 1947. The brainchild of founder and CEO Simon Jordan, the business specialises in producing hand made Italian leather goods inspired by the world of motorsport. System Store Solutions are specialists in the total process of design, layout and installation of both top end motorsport and private workshops for specialist marques. Providing a range of innovative, high quality storage products designed by Italian manufacturer, Fami. 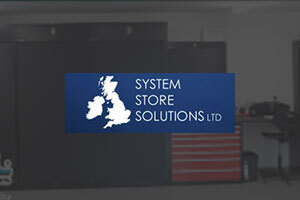 System Store’s success is based on delivery of expert consultation, project management and technicians who are able to install in any location from brand new workshops to listed buildings.